Recital week can be an exciting time, but it can also be very stressful. Between the constant travel and hoping to look your best during every performance, things can get exhausting quickly. Luckily, there are a few simple ways to get through this stressful time of the year. 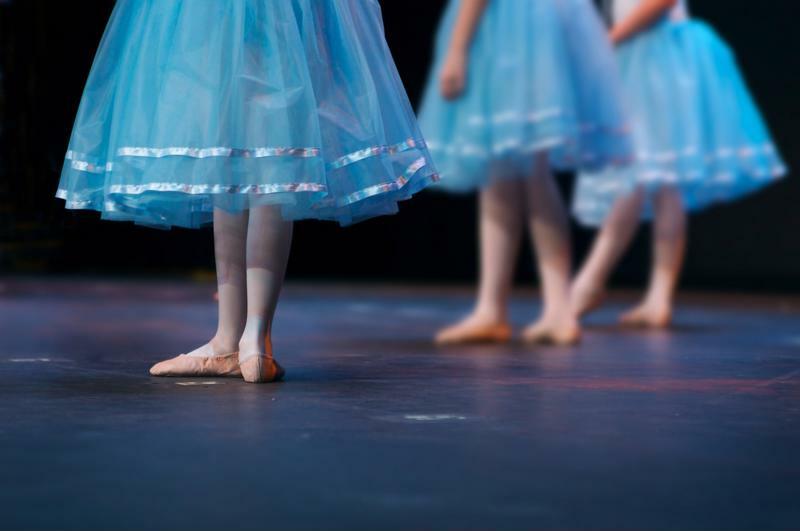 These tips and tricks can help your dance recital week seem like a breeze, instead of an anxiety-ridden event. Consider these suggestions on how to survive dance recital week. Plan, plan, plan ahead! Begin setting aside items that you’ll need for the recital, but won’t need to use the week before. That could be pieces of costumes, hair accessories, shoes, makeup and so on. Beginning to pack this far in advance means that you won’t be scrambling at the last minute trying to get things together for your show or series of shows. Instead, you can calmly grab your bags and head to the studio. When you’re packing, you don’t want to get confused or mix things up. That’s why it’s critical to create categories and sections for all of the pieces you need for recital week. Once you’ve got your costumes and essential items organized, labeling them is just as important. Label each with your name and the purpose of the item. You may even want to go as far as listing the recital number as well as your personal phone number. This is a good idea in case you lose your bag or leave it somewhere and another person finds it. That way they can call you and hopefully you can get it before the show! Rehearsals are just as important as the recital themselves. After all, what’s more important than making sure you completely have the steps down for your routine? Once you get your rehearsal schedule from your teacher, look it over several times to make sure you know where and when you are rehearsing for the dance recital, and write down the schedule in your planner. If you don’t know these details, you might get distracted and forgot or accidentally arrive at the wrong studio, causing you to be late for the rehearsal and potentially ill-prepared. Though these schedules can seem overwhelming, as you may have several practices in a row before the actual performances, they are critical to you doing well. Having extra dance essentials on hand helps ensure that your focus stays where it needs to be—on your performance. It’s always wise to bring extras of things. That way, if you lose one item, you can quickly grab the backup. Also, recitals can be an exciting time, but they can also be unpredictable. You may not anticipate that your tights will rip or the straps to your dress will come loose, but they might. Keeping an extra pair of tights and some safety pins on hand can help alleviate these issues as they happen. Aside from those two items, have extra bobby pins, pain relievers, hairspray, makeup, baby wipes and band aids. That way you can be at your best no matter what happens. Looking for a guide to help organize these extras? Check out our dance competition survival guide! Competitions and recitals have TONS of crossover materials needed, so you can use this guide be sure to have everything covered. Thanks to DanceMom.com, who put together a checklist of lots of items you need to pack and things to keep in mind. Run through that list more than once to make sure everything is on there! After packing, compare the list with your packed dance bag not once, but twice. Attention to the little details can make a big difference on recital day! Once you know everything is packed, you can head into the studio assured and confident instead of worried and concerned that you forgot something. If you’re running from performance to performance, you’re bound to get thirsty fast. That’s why it’s so important that you pack plenty of food and water. Make sure you bring along a resilient, large water bottle that you can refill and keep at the studio. The same goes for food and snacks. You don’t want to be running on empty during your favorite performances, so pack some healthy snacks to help keep you going. You probably have a system for planning classes for dance season. Maybe you have some tried-and-true methods that you’ll be repeating or perhaps you’re going to revamp your class structure to better your studio. Either way, you should make a point to create class syllabi for the different courses you’ll be offering in the coming season. Here are some of the benefits that studio owners can reap from a structured dance class syllabus and a few pointers for drafting these documents. A carefully crafted syllabus can benefit not only the teachers, but the students as well. When you take the time to create these documents for your classes, you can ensure that everyone will have a better experience at your studio. Syllabi help teachers prepare for classes. The document helps teachers keep the course on track throughout the year. Syllabi serve as a reminder of the skills teachers need to cover. It helps staff enforce studio policies. It clearly establishes behavioral expectations for students. The document can help students establish educational plans. In this case, it helps them to plan their growth as dancers. It provides essential information, such as contact details, class times, rehearsal schedules and the like. A syllabus serves as a remind of studio policies on behavior, dress code, attendance and more. It informs students of what they’ll be learning, when they’ll be learning it and what they need to do to succeed in the class. When you first sit down to create a syllabus, you may be tempted to simply jot down all your thoughts and goals for the class. This is a good way to get your thoughts down on paper, but you’ll want to create a document with a little more structure. Start by writing the static parts of your syllabus – these sections will likely remain unchanged between courses and seasons. If you have a studio contract, you may even want to simply copy and paste the sections about classroom behavior, attendance, proper attire and other studio rules. Instructor info: Note who will be teaching the class and his or her contact information. Class description: A general description of the course, genre and skill level. Course goals: List the skills and techniques that students will ideally master over the course of the season. Class timeline: Lay out the major events and lesson plans that will take place in the class. Include the topic for each class, as well as dates for performances and dress rehearsals if you know them. Once you have these sections written, you may want to have the instructor look over the document and make changes or suggestions. This will ensure that the syllabus is a team effort and that everyone is on the same page when it comes to the class. If you have syllabi that you’ve been using for years, it’s a good idea to revise them each season. After all, there are likely things that your studio could be doing better and you’ll want to reflect those changes in the document. Once you’ve written, revised and reviewed your syllabi, you’ll be ready to distribute them to the students, post them on your website and jump on into the new season of dance.